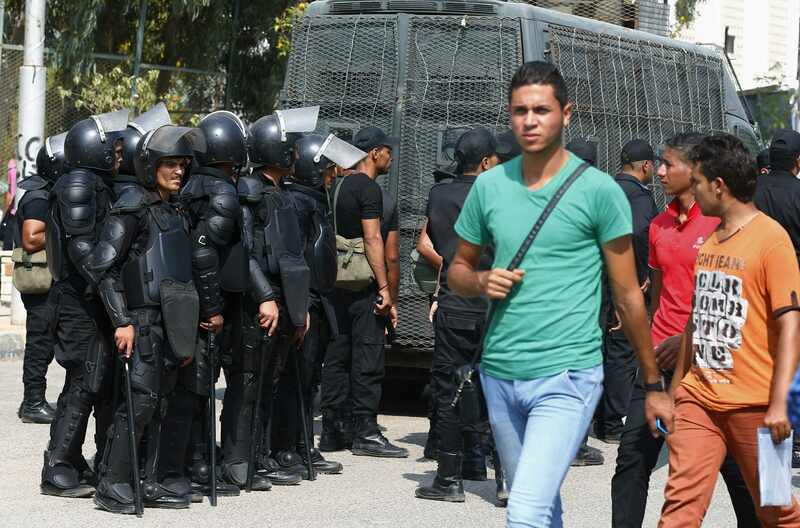 An annual report published by the Association for Freedom of Thoughts and Expression (AFTE) on Tuesday reported a total of 1,552 violations against Egyptian students within the last academic year. The victims of documented violations were a total of 761 students, a majority of who belonged to the activist group Students Against the Coup (SAC). 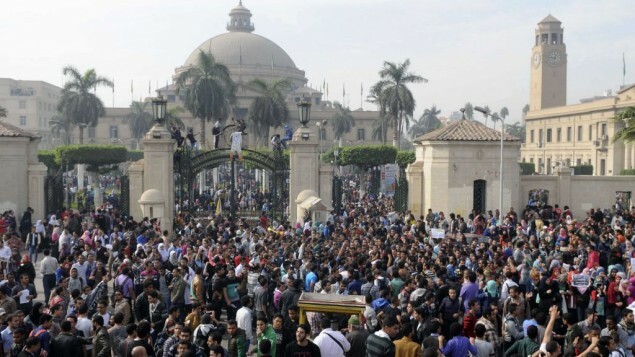 The report described a number of abuses committed by security forces and university administrations. Almost all of the reported measures have been taken before the accused students appeared before a disciplinary council. Dispersing political protests, detention of students and cancelling political events or activities on university campuses are merely some of the listed violations included in AFTE’s report. Other reported abuses included occurrences of physical assault, as well as the killing of three university students on campus. The report also stated that 286 students have been expelled within the past academic year by university administrations. Furthermore, faculty members and researchers have also been subjected to intervention by university administrations and the Ministry of Higher Education which naturally tampered with and hindered their work. 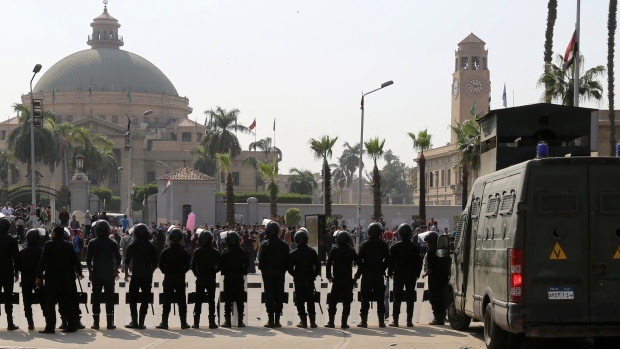 Such instances of abuse against academics included the denial of al-Azhar University administration a researcher his doctoral degree after he labeled the events of June 30 as a military coup. Among the hundreds of recorded violations, some incidents have also been the focus of media attention, such as the case with Mahmoud Mohamed Hussein’s story. Hussein, 19, has been held in jail for the past 580 days for attending university wearing a T-shirt that reads “Nation Without Torture”.